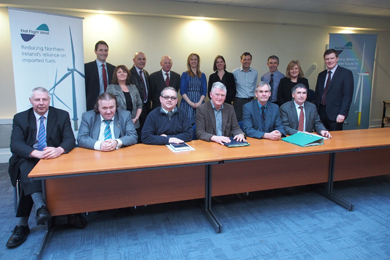 THE Community Stakeholder Panel, established to advise the First Flight Wind project team on its community consultation process, held its inaugural meeting last week at the Newry and Mourne Enterprise Agency. The First Flight Wind Community Stakeholder Panel chaired by Dr Conor Patterson, back right. First Flight Wind is a group of three companies that have come together to plan, design, implement the construction of the marine offshore wind farm and manage its operations off the CountyDown coast. The major project for which will impact on east Down particularly is at the early stages of development and a process of three public consultations has to be unfolded. 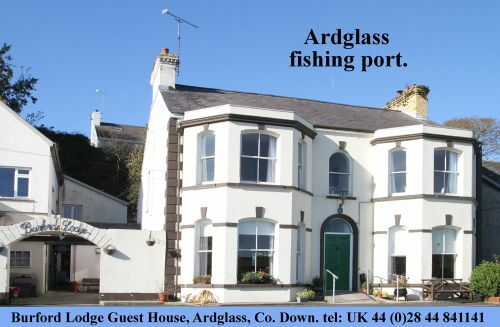 The area zoned for potential development is from Sheepland north of Ardglass to Carlingford Lough. The Panel, chaired by Dr Conor Patterson, will provide independent advice on the scope of the consultation programme to ensure First Flight Wind carries it out effectively. At the initial meeting, the Panel received a presentation from members of the First Flight Wind project team, discussed the Terms of Reference for the Panel and reviewed the draft findings of the first round of consultation held from November 2012 to January 2013. 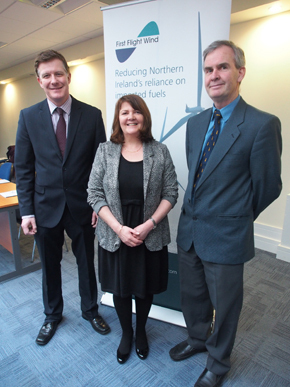 Dr Conor Patterson, panel chair, with Audrey Byrne, President of Newcastle Chamber of Commerce and John Smyth, Ardglas Harbour Master. The Panel membership has been selected in agreement with the Chairman to ensure that panellists are drawn from a range of backgrounds, across a geographic and political spread as well as on the basis of each panellist’s knowledge of the area, their experience with community interaction and other relevant expertise. The Community Stakeholder Panel is not a technical forum for reviewing the project itself but will act in an advisory capacity with a focus on the delivery of the community stakeholder consultation programme. Dr Conor Patterson is the Chief Executive of the Newry & Mourne Co-Operative and Enterprise Agency. Previously Chair of the Newry & Mourne Economic Forum, Conor is one of the co-ordinators of the Greater Newry Vision Partnership. He said: “The proposed offshore wind project is a significant project and has already generated a lot of local interest and debate. This Panel will help to advise the project team on how best to conduct its local community engagement and consultation programme. It is currently envisaged that the First Flight Wind Community Stakeholder Panel will meet three times per year.